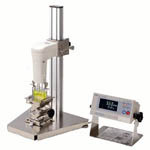 A viscometer is an instrument used to measure the viscosity of a fluid. 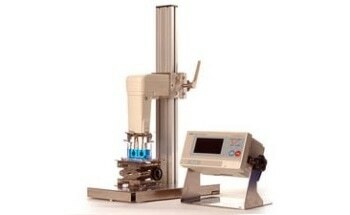 For liquids with viscosities which vary with flow conditions, an instrument called a rheometer is used. Viscometers only measure under one flow condition. DV-10 Hercules Hi-Shear Viscometer from Kaltec Scientific, Inc.
SV10-100 Series Viscometer from A&D Engineering, Inc.
DV-I Prime Viscometers from Brookfield Engineering Laboratories, Inc.
Cannon CAV 2000 Series Viscometer from LabPlant UK Ltd.
XL7 Polymer Melt Viscometer from Vindum Engineering, Inc.